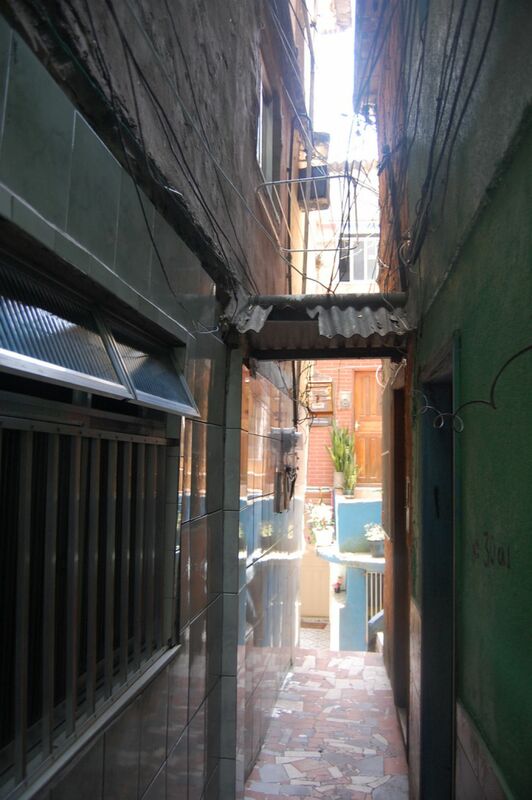 It is a piece of land that has been occupied and not properly regularized with the government. 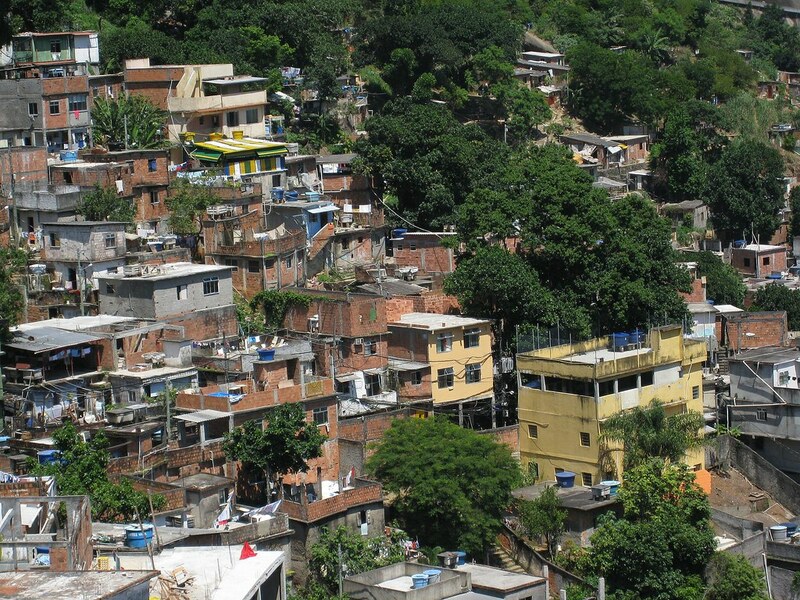 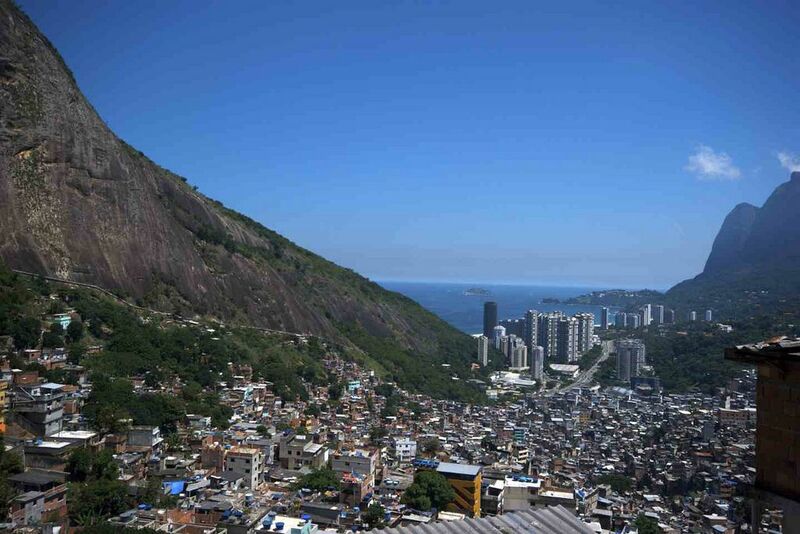 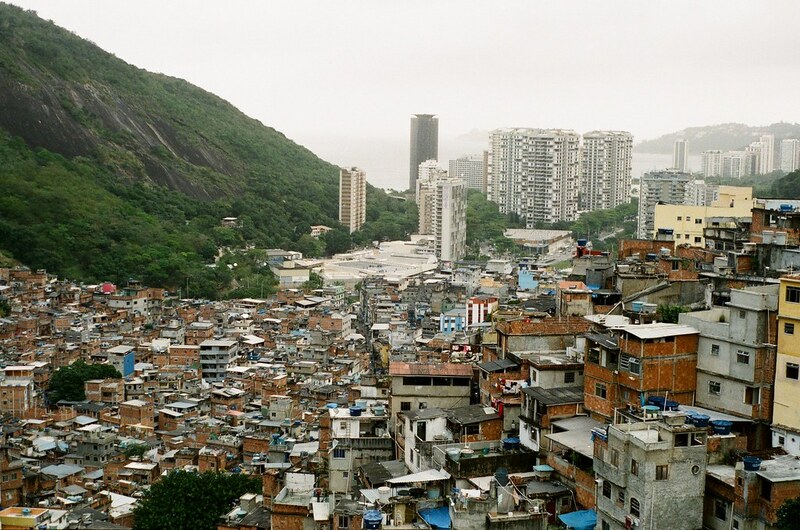 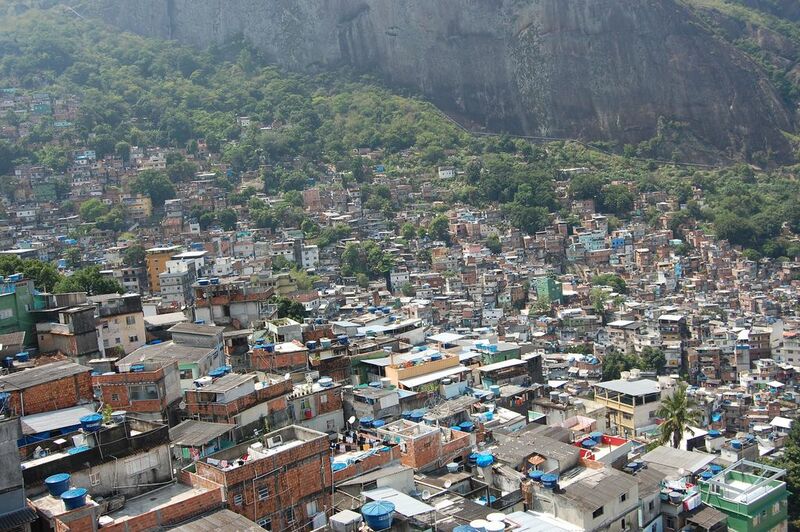 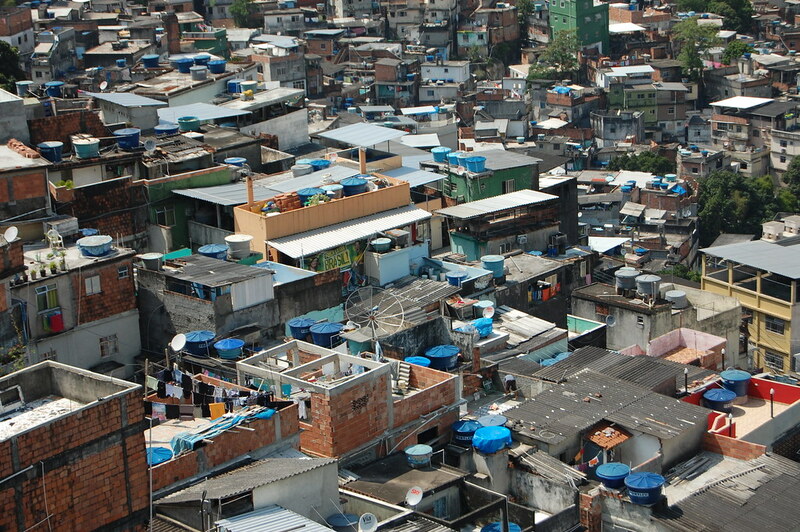 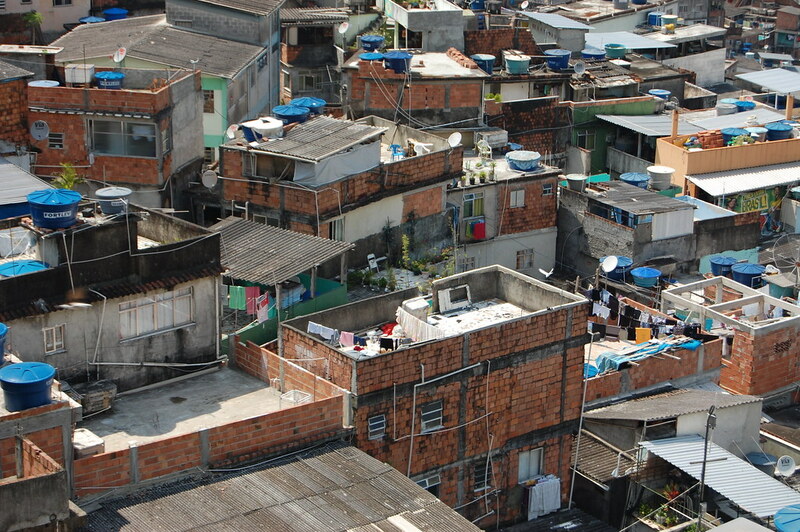 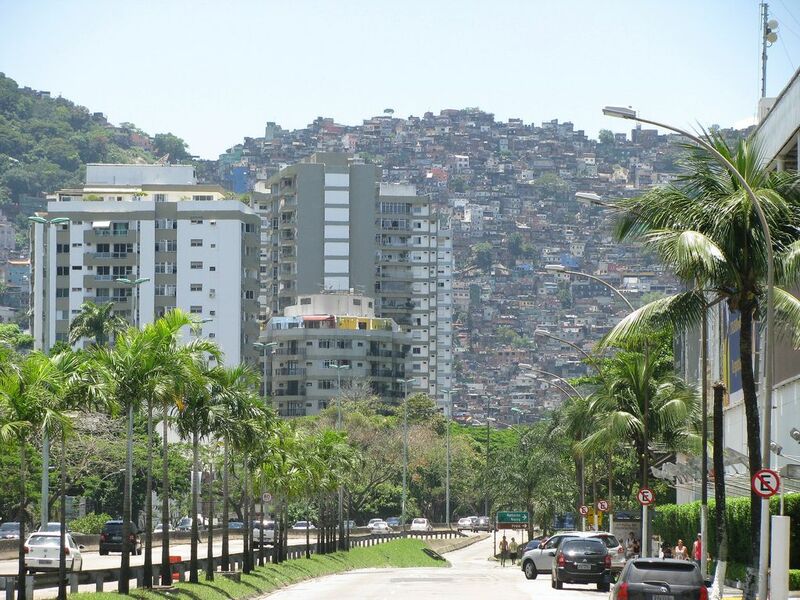 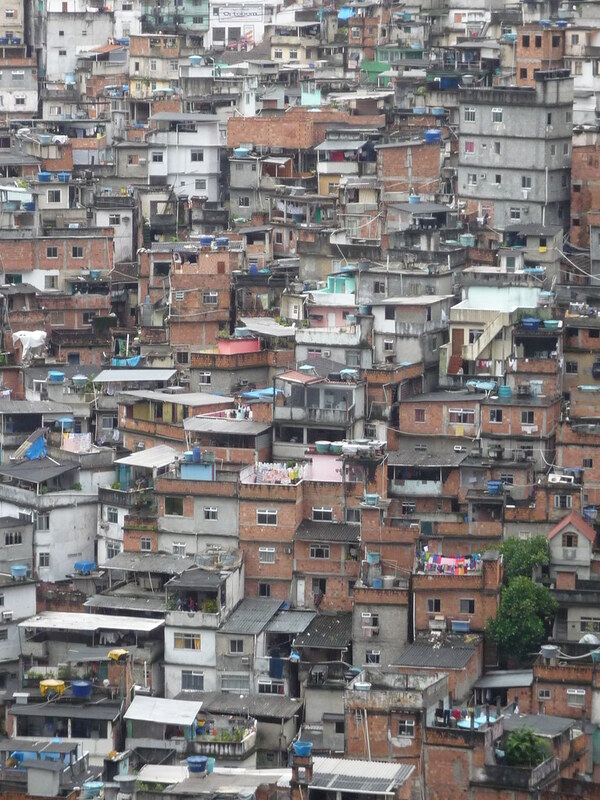 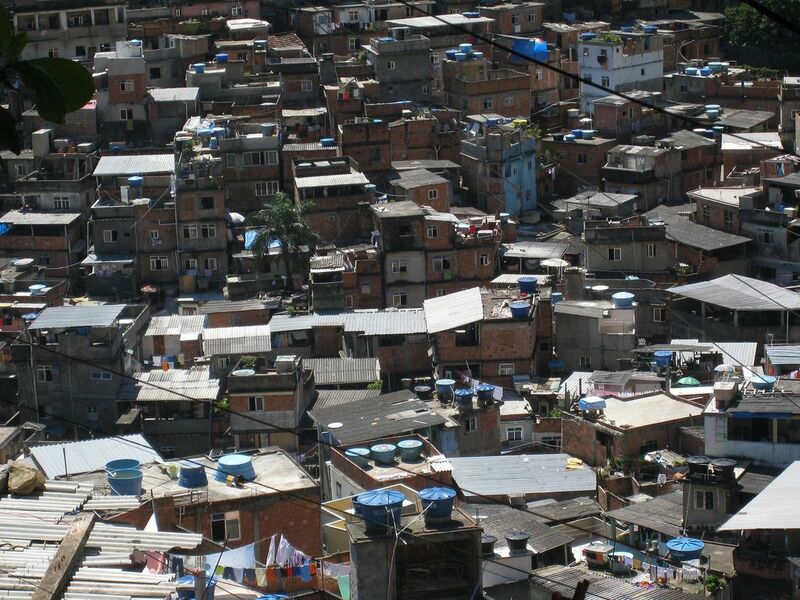 Rocinha is located in the South Zone of Rio de Janeiro, between the neighborhoods of Gávea and São Conrado. 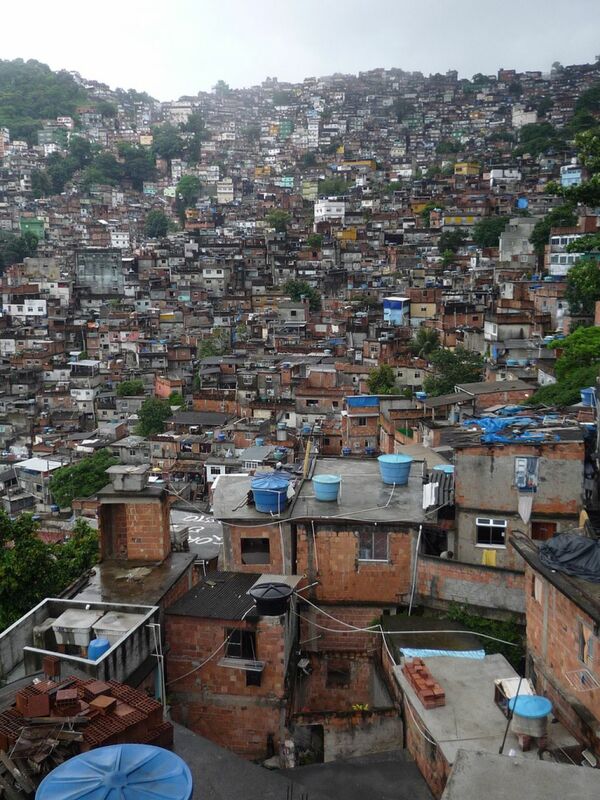 The houses are all built on the side of a mountain, with these ones being more secure than the other side because they are built on top of stone instead of dirt, so they are less likely to suffer from mudslides It is estimated that the current population of Rocinha is around 150 thousand, maybe 300 thousand. 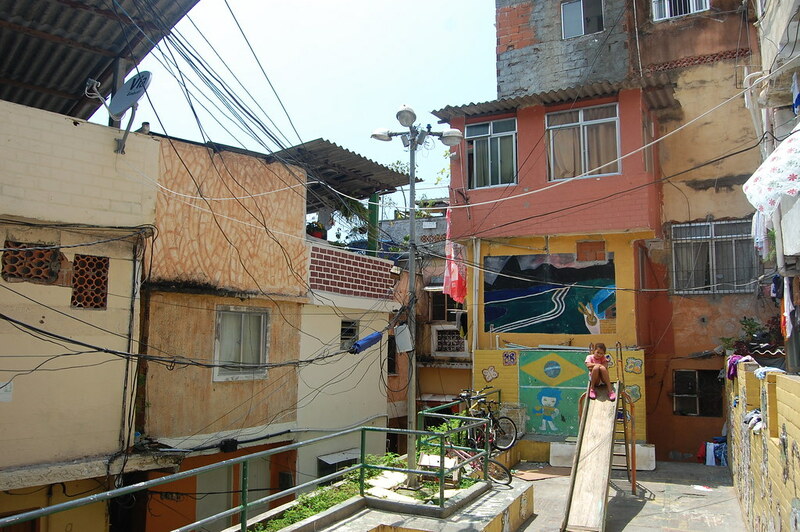 There are internet cafes, hair salons where you could get manicures and pedicures, movie and dvd rental places and at one point they even had a McDonalds.